يشكل The Pacific Apartments بموقعه الممتاز في تاورانجا نقطة انطلاق جيدة لاستكشاف هذه المدينة النابضة بالحياة. إن موقع الفندق الاستراتيجي، الذي يبعد 0.36 miles فقط عن مركز المدينة، يسمح للنزلاء بالوصول سريعاً وبسهولة إلى العديد من الوجهات المحلية المثيرة. 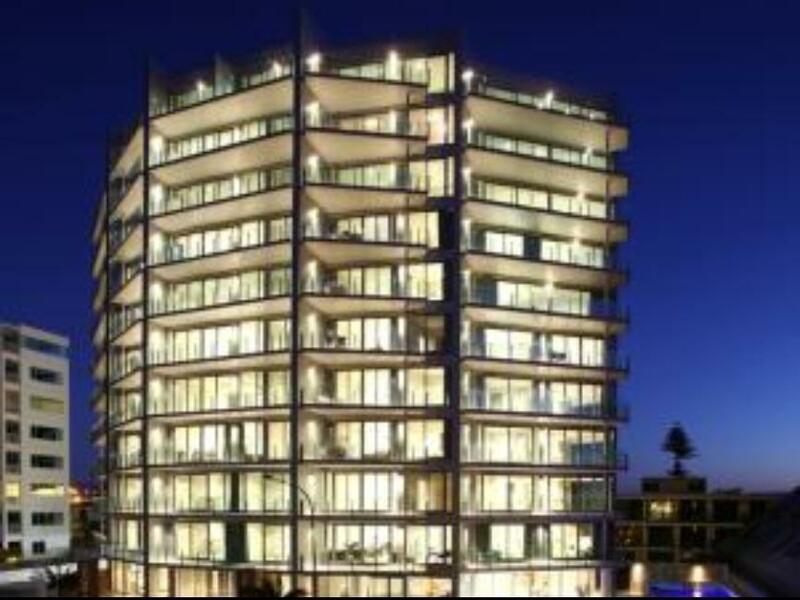 يوفر الفندق بفضل موقعة الجيد وصولاً سهلاً إلى أهم معالم المدينة.
. يعمل The Pacific Apartments على ضمان إقامة مريحة لضيوفه من خلال خدماته الممتازة وحسن ضيافته. يقدم هذا الفندق العديد من الخدمات الكفيلة بإرضاء أكثر الضيوف تطلباً. بالإضافة لهذا,تتضمن كل غرف الضيوف مجموعة واسعة من وسائل الراحة . بعض الغرف توفر حتى تلفزيون بشاشة مسطحة, اتصال لاسلكي بشبكة الإنترنت (مجاني), غرف لغير المدخنين, مكيف هواء, تدفئة لإرضاء أكثر الضيوف تطلباً. إن مركز للياقة البدنية, مسار جولف - ضمن 3 كم, حمام سباحة خارجي, سبا هو المكان الأمثل في الفندق للاسترخاء وتفريغ طاقتك بعد نهار طويل. إن The Pacific Apartments هو خيارك لخدمة الفنادق الراقية في تاورانجا. We stayed in a spacious 2 bedroom apartment with living room overseeing the bay. 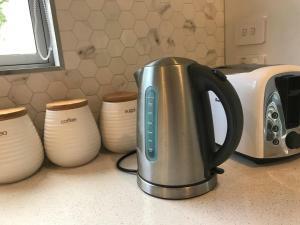 The unit is clean and well equipped ~ a good kitchen with an island table for preparation and dish washer; washing machine and dryer ~ ideal for family who needs heavy washing and plans to do own cooking. The basement parking entrance is a bit narrow. 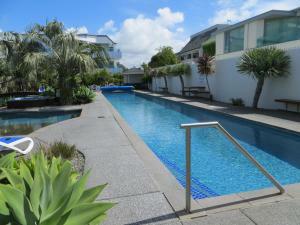 A public hot pool, beaches and foot path to Mount Manganui are conveniently located across the street. 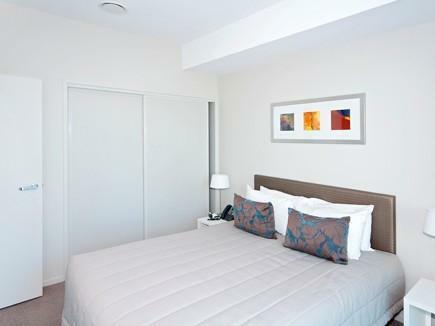 These apartments were very spacious, with microwave, dishwasher, clothes washer and dryer. The facilities are great with secure parking, fast wifi, and a lovely tidy pool area. We would love to stay here again! Lovely room in great location. Restauant food needs a little attention to detail for the price, but wasnt a problem with lovely waitresses. I used to stay here on a regular basis from when the apartments first were built but had a few bad experiences a few years ago and had not been back until this week. Thankfully this visit was a pleasant return to normal. Everything was fantastic and reasonably priced I guess as the rooms are excellent. I spent a long time investigating accommodation in this area and found it difficult to make a decision, luckily we got it right. Modern apartments in a great location, restaurant onsite and more within a few hundred metres and only a 10 minute walk to the Main Street. (visit cafe88). Staff were welcoming, efficient and willing to help, above and beyond actually (ignore other reviews on staff, glad I did) Rooms are spacious. We stayed in a 3 bed with a view. Wow. Would stay here again in a heartbeat. 50m to hot springs and near the walking tracks. I would highly recommend the Pacific Apartments. We have had a beautiful Apartment with all comfort ones could wish. 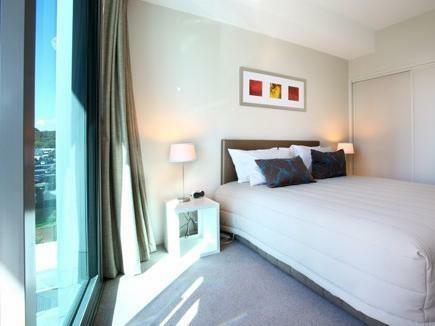 The apartments are very new and modern, pretty big and are great located. The staff is very nice. To bad we just stayed one night here. Overpriced for the extremely basic facilities. Extremely loud concrete grinding all day right outside the window - could have let us know when we booked. No bath towels supplied, advert said sofa bed available when it actually wasn't. the 4 bedroom is perfect for big family with nice view of the sea. We really enjoy staying here. For a winter break away we booked a 3 bedroom apartment. The apartment was very close to the hot pools and close to cafes. It was a 10 minute walk into the main street of Mt Maunganui for shopping and bars. First impressions were good, the view of the harbour was stunning. But it was dirty. Both rubbish bins, the kitchen and the bathroom , had not been emptied. The pots and pans needed a better wash and the oven really was off putting. The bed coverings were stained. One bed was missing the top cover and we repeatedly asked for one to be sent up. It took more than a few hours before we got one. When you pay top dollar you deserve the best and this really was a let down. We have stayed at other places in the same area and we would choose them over this place. Wanted to pay more for a room with a view. They said those rooms were full, but we never saw any lights on or anyone in these rooms. Bed very uncomfortable. This is not a hotel; There is only one staff member at reception, which closes at 6pm. (They can facilitate after hours access/check-in. Just make sure your phone number is in the notes for the staff.) These are apartments. 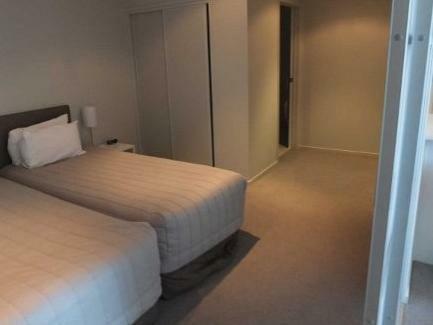 However they are the most comfortable and best setup apartments available for short term rent that I have ever stayed in! And the location could not be better! 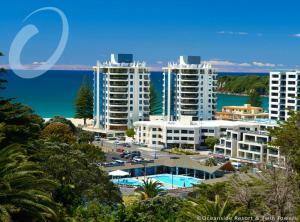 5 minute stroll to the Mt Manganui shops, 2 minutes to Pilot bay, the ocean beach and the mountain tracks. Free parking makes it extra convenient. And we were able to leave our car till later on our last day. The pool and spa pool are very nice. The gym is pretty good too; but the natural surroundings offer too much beauty to want to spend much time there. 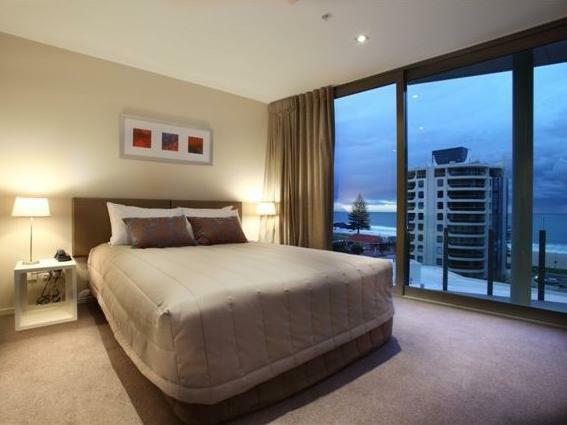 We were upgraded to a 2 bedroom apartment with a lovely view of Pilot Bay and Mt Maunganui. 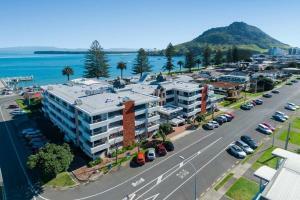 The location of the apartments is great with everything in walking distance including the beach, lovely walks around/up Mt Maunganui, shops, etc. The apartment facility has a nice pool and spa pools and they also offer free secure car parking. The only downside was the Wifi was not included.